Cris “Cyborg” Justino is perhaps the best female fighter in the planet and is unquestionably the best that is not fighting under the UFC banner. Cyborg, now 28 years old is the current Invicta FC women’s featherweight titleholder and former Strikeforce featherweight champion. She has won all of her fights after losing her professional debut. In 2009, Cyborg ended the reign of Gina Carano as the queen of MMA. She easily disposed Carano and stopped the latter with punches towards the end of the first round of their battle. It was the start of her era as the MMA’s new queen. She later sparked a rivalry with Strikeforce and now UFC women’s bantamweight champion Ronda Rousey. 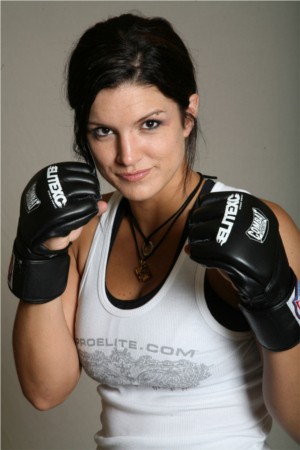 Strikeforce is targeting December for Gina Carano's return. Will this be for real now? Gina Carano hasn’t fought since August 2009, following her lost against Cris “Cyborg” Santos. 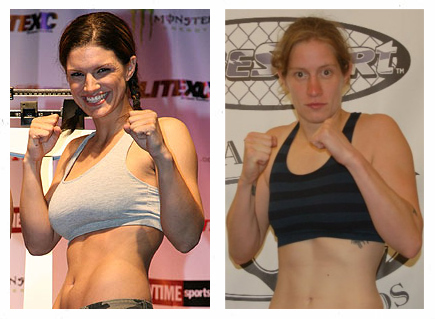 Prior to her supposed return in Strikeforce, the fighter appeared in Steven Soderbergh’s film — Haywire. Gina Carano is now set to return to her training after suffering from a mysterious ailment. Good news for Women’s MMA fans: Gina Carano has already been cleared by her personal doctor to resume training, and if ever it goes well, she will be returning to the cage soon. Though her camp hasn’t announced any official comeback date for her, GinaCarano’s manager is positive to have a return before the year ends. The recently proclaimed women's bantamweight champion, Meisha Tate, spoke regarding people's decision if she's the new face of women's MMA. The co-event of the “Strikeforce and M-1 Global: Fedor vs. Henderson” held last Saturday seems to damage the career of the unbeatable Marloes Coenen, as Meisha Tate attained the Strikeforce bantamweight title by finishing her through an arm-triangle choke technique. Though the new 135lb Strikeforce champion is getting much excitement from her new title belt, Meisha Tate pointed out that she is still keeping her feet on the ground and would not get too affected with the fame she’s entering right now. See the video of Meisha Tate after her title fight victory against Marloes Coenen after the break. 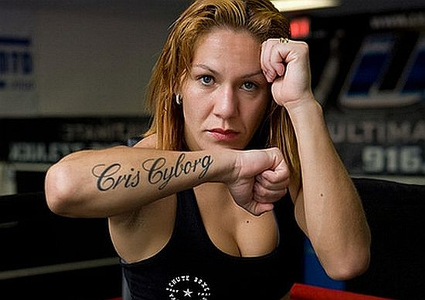 After being unable to come in terms with Strikeforce and Zuffa, Cris Cyborg is now a free agent. Cris Cyborg is now officially a free agent, which means that Strikeforce was unwilling to properly compensate her, or that Zuffa decided to discontinue promoting women’s MMA under the Strikeforce banner. According to a source close from the situation, Cris Cyborg’s contract under Zuffa ended last Wednesday. Moreover, Strikeforce and UFC’s parent company failed to come to terms with the women’s MMA middleweight champ before she became a free agent. However, Cris Cyborg was said to be in negotiation with another undisclosed promotion. Gina Carano must have some lucky stars now. Whether Cris Cyborg comes up with a new contract this weekend, Fighting Insider will keep you posted. The Overeem vs. Werdum's match last June 18 became more unforgettable, as it features the current condition of women's MMA superstar -- Gina Carano. Supposed to be, MMA fighter – Gina Carano – is scheduled to battle Sarah D’Alelio at the Strikeforce: Overeem vs. Werdum card last Saturday. However, 11 days before the actual match, a report came stating that Gina Carano cannot participate on the event since she is still undertaking an undisclosed medical condition. Until today, there are no concrete details on what really happened to he and what the “undisclosed medical condition” is all about. Gina Carano’s last MMA fight was way back in August 2009 when she did not attain victory against current Strikeforce middleweight champion — Cristiane “Cyborg” Santos. Fighters of the upcoming Strikeforce Heavyweight Grand Prix can now legally compete on Saturday, as they were all cleared of all necessary requirements. As previously reported, four other fighters for the Strikeforce Heavyweight Grand Prix still don’t have the license to fight. Good thing, all 20 fighters will now compete on the tournament, as licensed and approved by the Texas Licensing and Regulation. According to Susan Stanford of TDLR, all fighters of the upcoming Strikeforce’s card were cleared of all the necessary requirements. 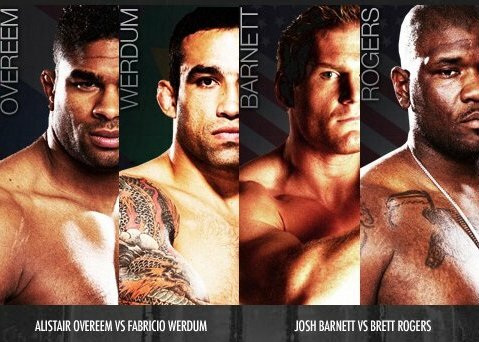 That said, there will be ten bouts for the event as scheduled — including the Overeem vs. Werdum main event and the return of Gina Carano on Strikeforce. The preliminary matches will air on HDNet, while the main card will be broadcast on Showtime. After being unable to get a medical clearance, Gina Carano was forced out from Strikeforce's June 18 card. Last Tuesday, Strikeforce CEO – Scott Coker – stated in a media conference call that Gina Carano could not get a medical certificate from her doctors in time for the June 18 tournament. That said, the Gina Carano vs Sarah D’Alelio match will be pulled out from the card and will be replaced with a lightweight duel between KJ Noons and Jorge Masvidal. However, the fighter is keeping her fingers crossed to get clearance and comeback in the cage soon. Although there are uncertainties after UFC’s acquisition of Strikeforce, Scott Coker assured that the women’s MMA is here to stay. This includes extending the contract and signing of new talent for Strikeforce’s women roster. And while the overall roster remains relatively small, their bouts have produced some hits. In fact, Strikeforce became the highest-profile North American promotion for female fighters. In August 2009, the promotion heralded its first queen – Cristiane “Cyborg” Santos – after headlining a Showtime-televised event versus Gina Carano.